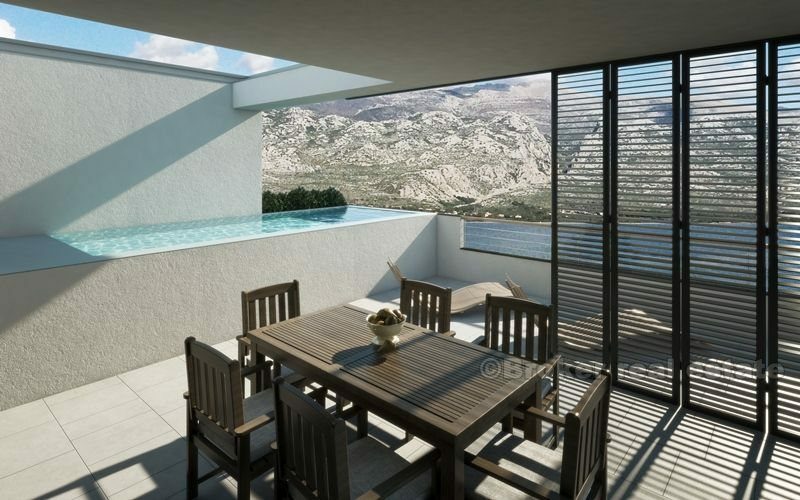 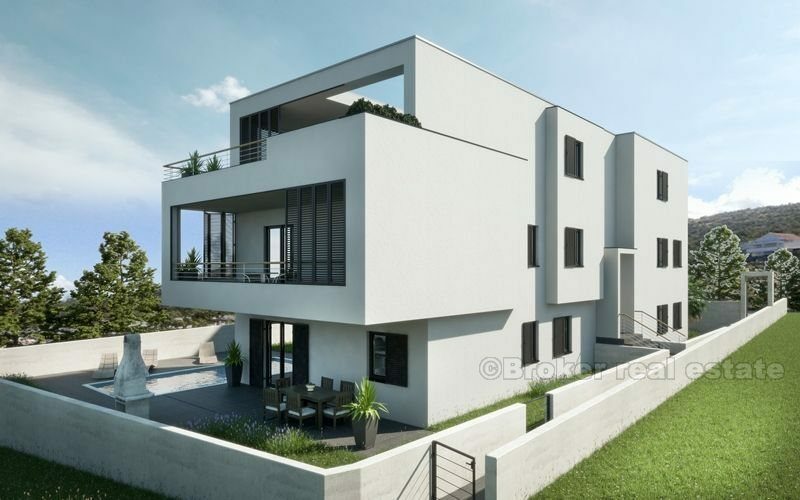 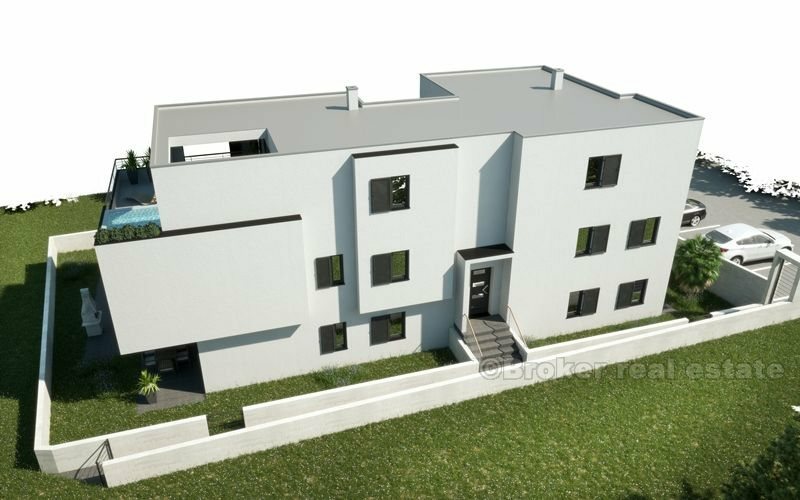 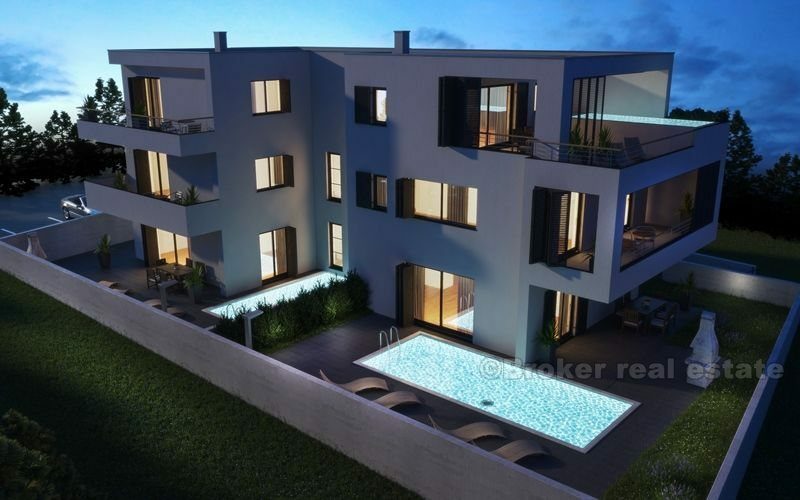 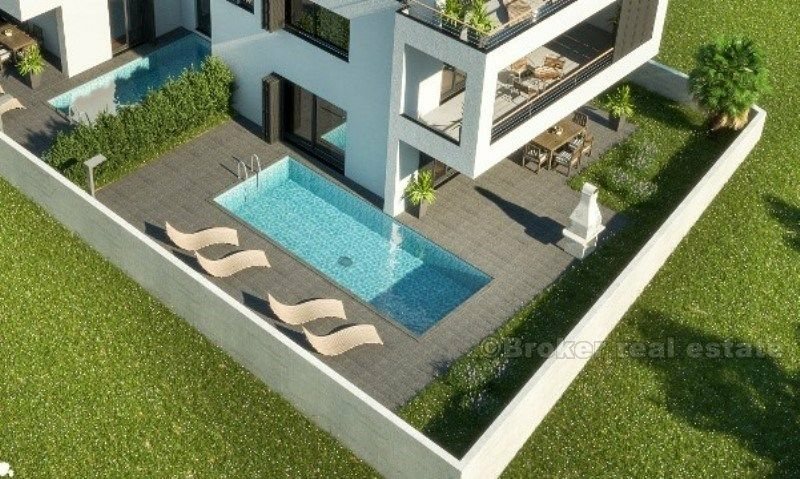 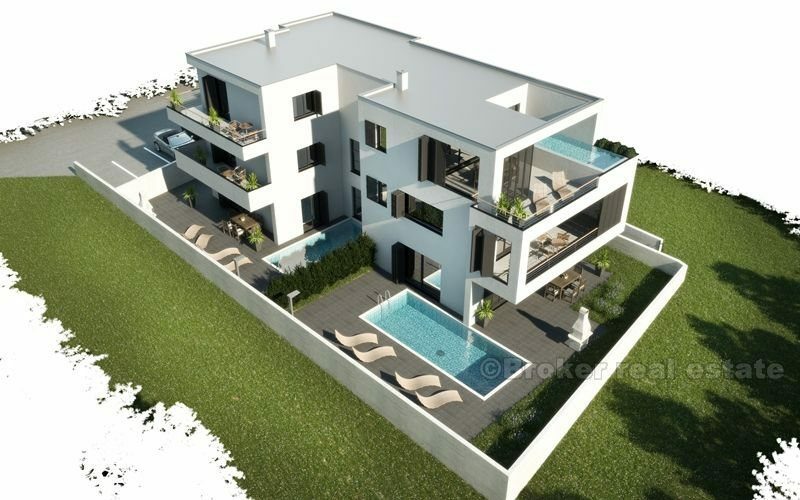 Modern apartment building with only 5 residential units, in an excellent location 30m from the beach, 2 apartments on the ground floor have their own swimming pools and its own landscaped Mediterranean garden. 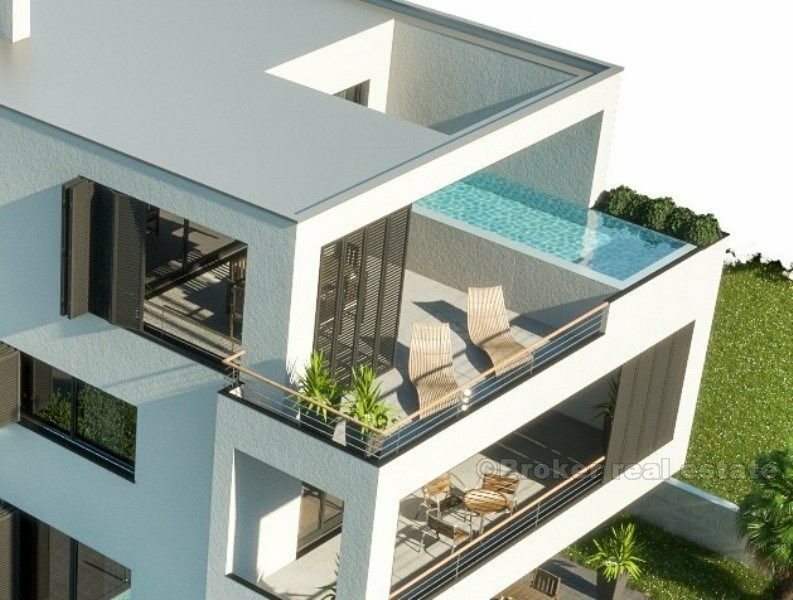 2 apartments on the first floor have their own terrace / balcony, and one apartment on the second floor penthouse with a pool and two private terrace / balcony. 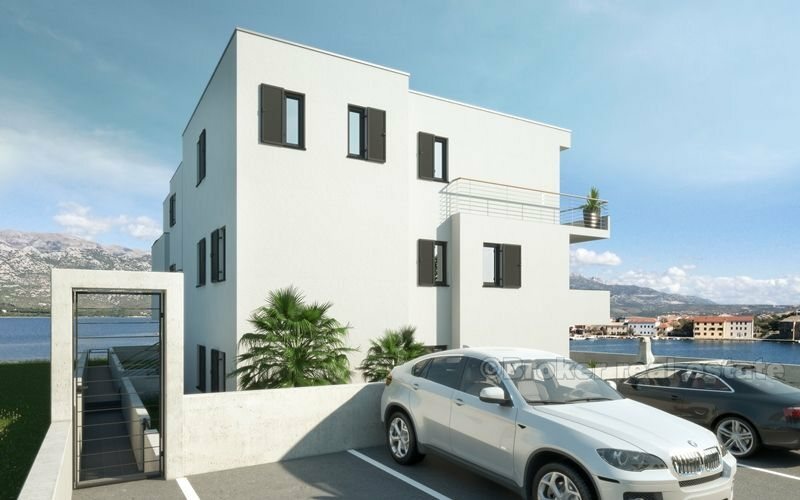 7 Secure outdoor parking spaces, 1 parking space for each apartment + 2 common room facility, video surveillance facility with 4 external IR cameras capture the movement (parking, access to the building, the passage of the sea, courtyard). 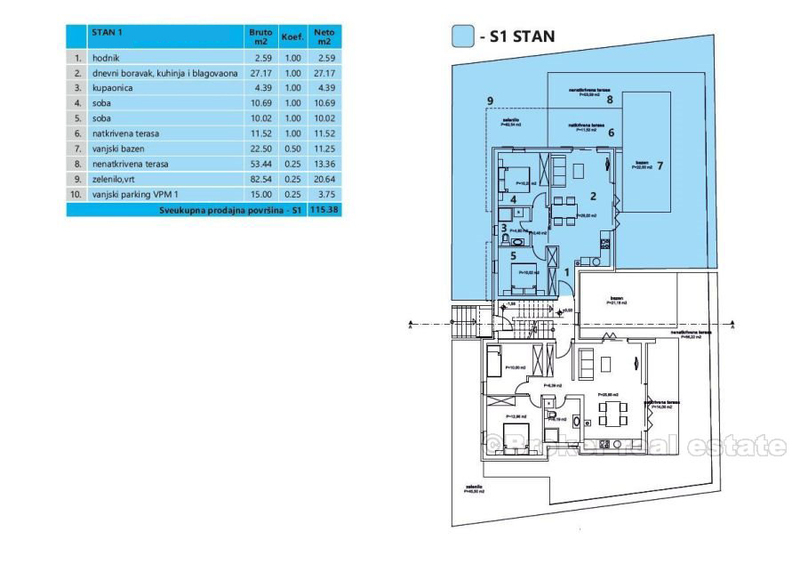 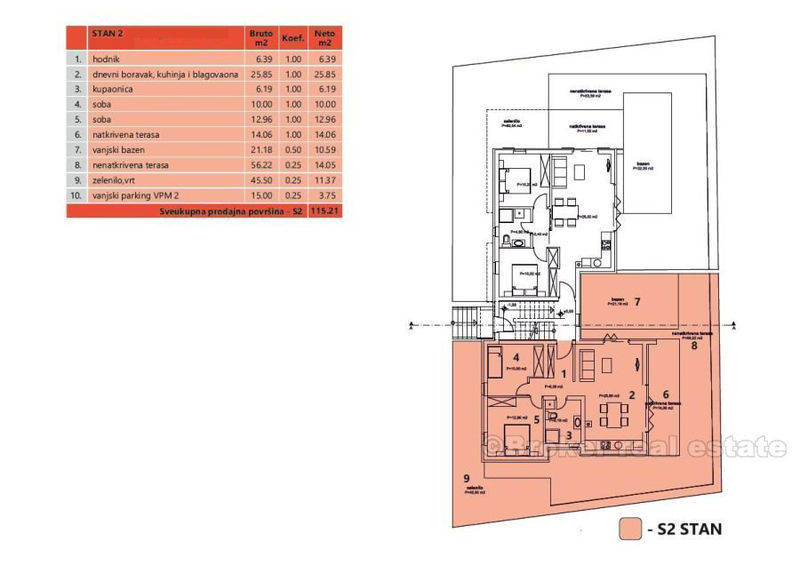 All homes are detached, except PENTHOUSE who has 3 rooms. 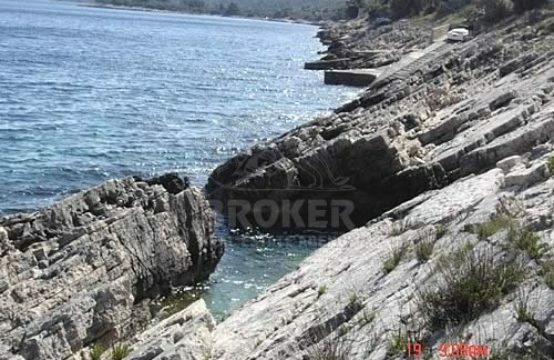 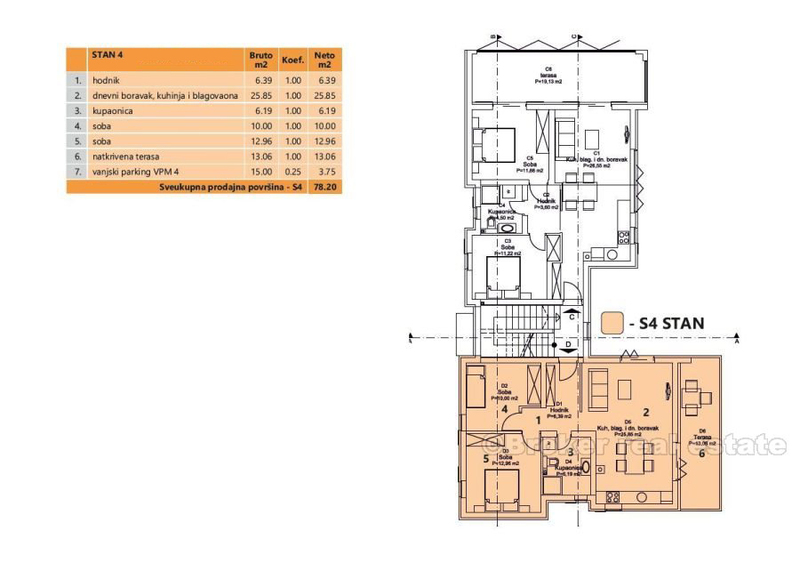 • S1 (ground floor) – € 185,000.00 – SOLD! 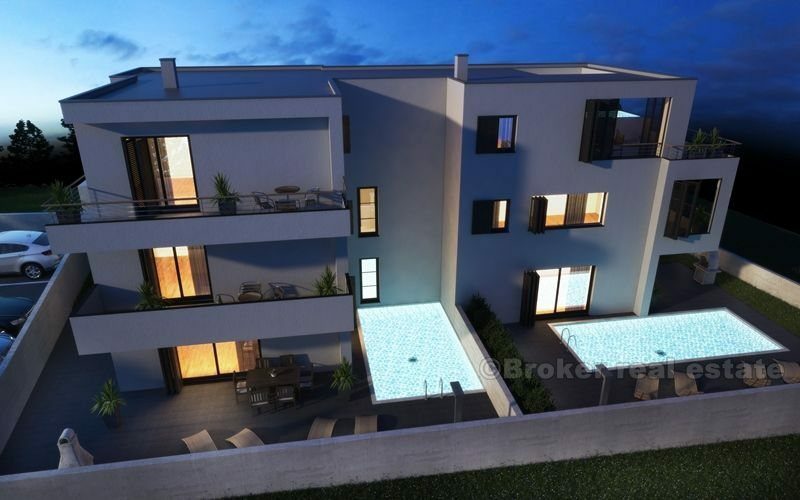 • S2 (ground floor) – € 180,000.00 – SOLD! 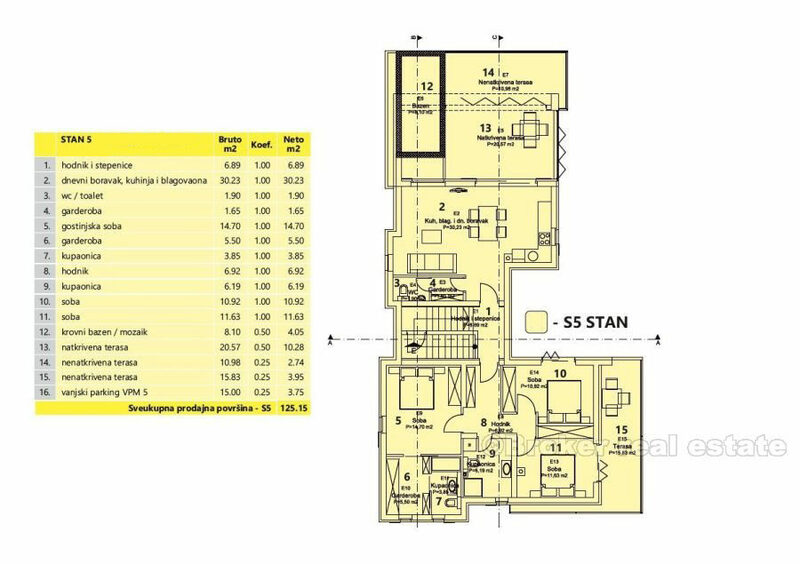 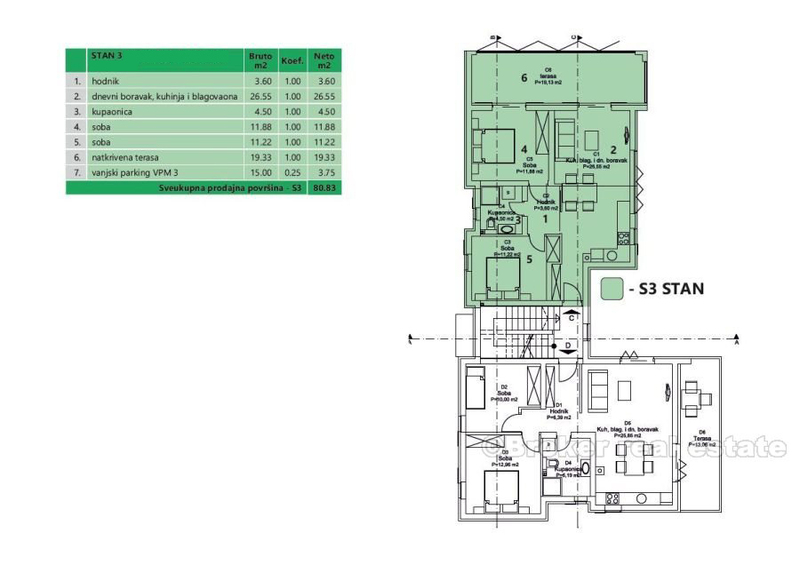 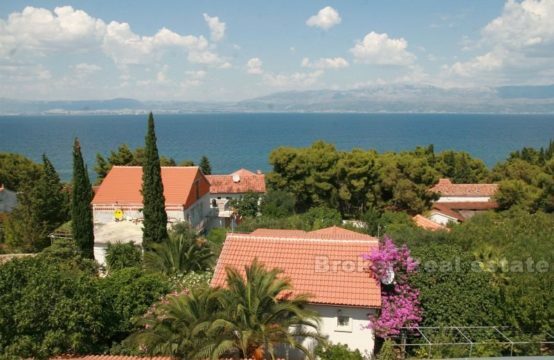 • S3 (first floor) – € 175,000.00 – SOLD! 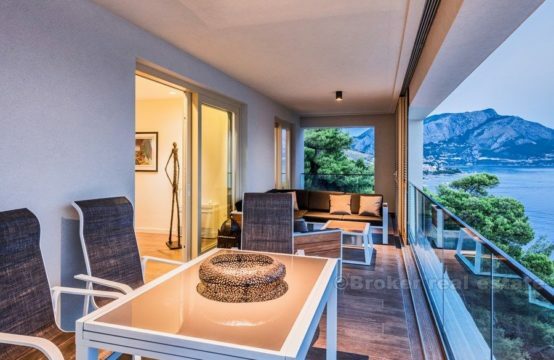 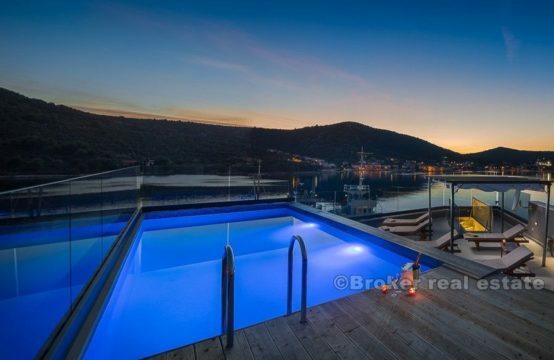 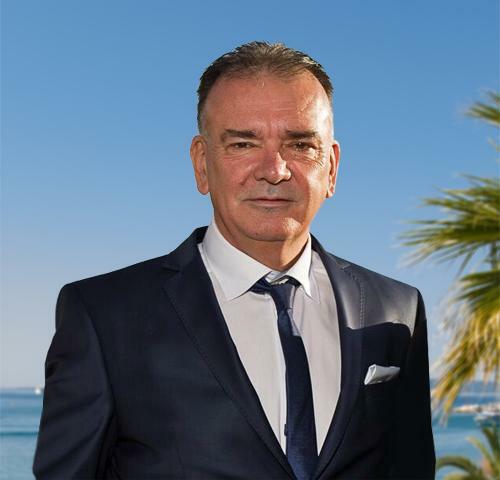 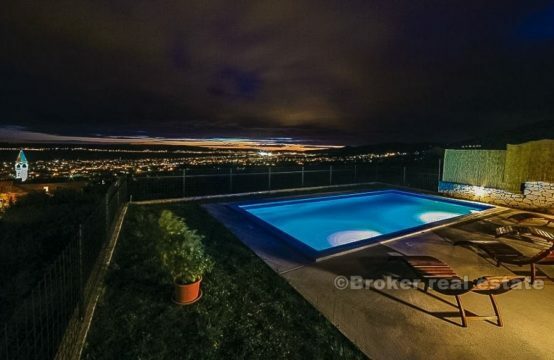 • S5 (penthouse) – € 315,000.00 – SOLD!